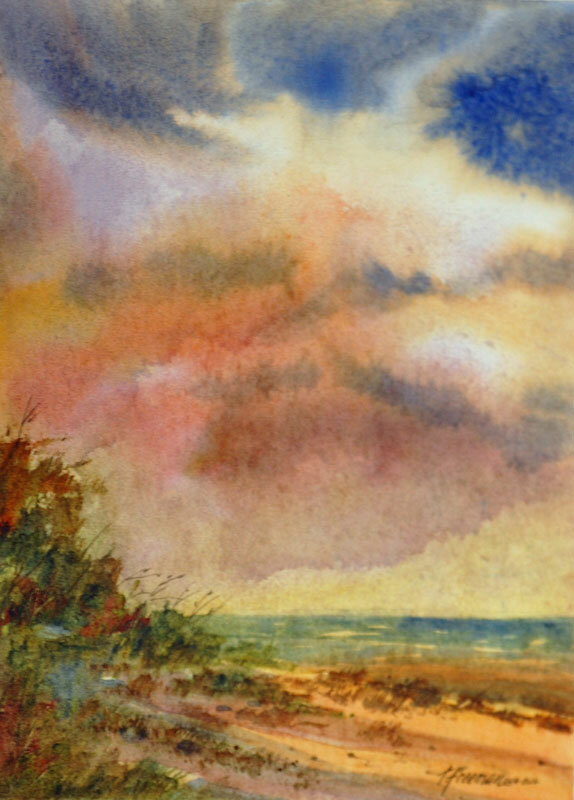 Thomas Freeman Original Watercolor Painting: "Just Before the Rain"
I knew that I would paint this wet, so I chose a hot press, or smooth, paper. The roiled sky was a mixture of color and rather angry-looking, indicating a rain storm that was imminent. After it was dry, I proceeded to finish the painting with dry brush. I usually keep birds, or people, out of the painting unless they add to it.